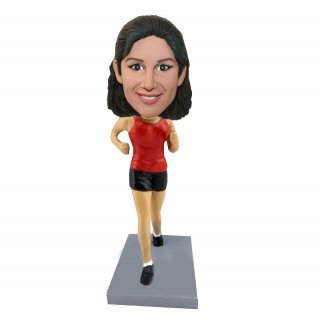 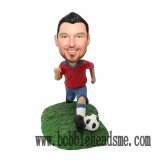 Wearing a red tank top and black shorts,this custom male bobblehead doll is running.This custom bobblehead is one of the latest and most creative personalized gifts crafted by Bobbleheadsme artists. 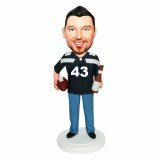 You can build your own bobblehead for your beloved, buddies, and family or colleagues. 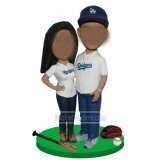 For any occasions or special days, different themes are available.